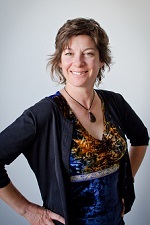 Anik Provencher has been an Occupational Therapist for over 20 years, with experience working with children in a rehabilitation center in northern Quebec, in her private practice and as a consultant in the public schools of Prince George, British Columbia. Anik’s areas of expertise are in sensory integration and handwriting. She is bilingual, presenting in English or French. She has a passion for enhancing children’s development and participation in daily activities. As a pediatric occupational therapist, Anik is concerned about the extent of developmental delay she is seeing in today’s children, and is interested in offering evidenced–based information to families, to education and health professionals to promote a balanced life style for children in today’s changing world. Anik received her Bachelor of Science degree in Occupational Therapy from the Universite de Montreal and has extensive continuing education in the areas of sensory integration, fine motor development and printing.